Jessica is a triangle native who grew up in Durham, North Carolina. She completed her Bachelors of Science at Appalachian State University and upon completion returned to the area to complete her Masters of Science at North Carolina Central University. She is an active member of the Raleigh District Dietetic Association as well as the Academy of Nutrition and Dietetics. 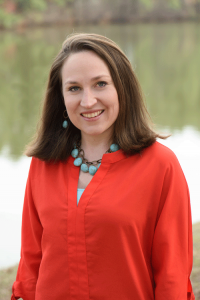 Jessica is a LEAP certified dietitian and our in-house expert on digestive disorders. Using her leap certification she is able to tailor a low inflammation diet for individuals using their specific Mediator Release Testing results. She is also trained in using a low FODMAPs diet to help individuals with IBS. In her counseling she focuses on helping clients heal their digestive tract and reduce the stress and pain they feel from gas, heart burn, diarrhea, and constipation. She helps clients who have Irritable Bowel Syndrome (IBS), reflux, , Celiac disease , Crohn’s Disease, ulcerative colitis , chronic diarrhea, and other inflammatory issues such as migraines and fibromyalagia feel better and take control over their condition. In her free time, Jessica enjoys running ½ marathons, playing flag football in a local Raleigh league and experimenting with new recipes in the kitchen.